We are engaged in manufacturing and exporting of Burner Controllers. Various models are available in single pole & two pole applications. These equipments are available at reasonable prices. Our offered range of products is widely appreciated by the customers for features like low power consumption, application specific design and excellent performance. Size 70 mm (L) x 110 mm (B) x 105 mm (H). 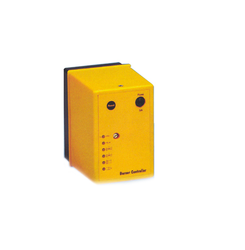 We offer Burner Controller for small and medium sized industries. These controllers are housed in ABS plastic enclosure. The enclosure consists of a base and plugs in controller module, which facilitates easy replacement at different sites. 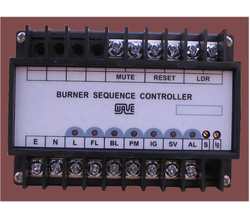 We are counted as major exporter and supplier of a wide gamut of best quality Burner Sequence Controllers. Looking for Burner Controller ?